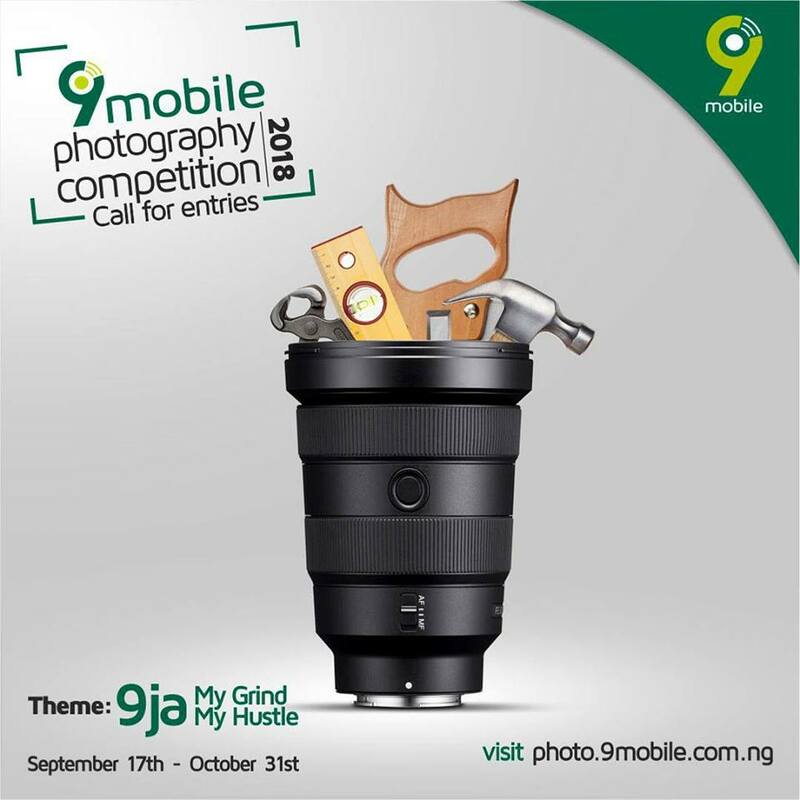 9mobile Photography Competition Call for Entries, Theme: 9ja My Grind, My Hustle, Competition Guidelines, Categories, Calendar and Submission Process for 2018. The theme seeks to celebrate and recognize individuals that work daily to make ends meet. Those who appreciate the importance of hard work and the need to be successful in life. Participants are expected to capture images of their daily hustle depicting what they do in a creative and fun way. Charge the shutter, adjust the lens to unmask your daily grind. Through this theme, we hope to visualize and unfold the act of photography in the daily hustle of Nigerians. The approved images based on the entry criteria will be reviewed by the jury to produce a longlist of 100 and shortlist of the top 3 images. The top 3 finalists will be unveiled and awarded prizes by the jury at a Winner Announcement event. Online submission is ongoing from September 17th - October 31st, 2018.